What do you think about when you read the term "employee engagement"? A survey? Staff happiness? Wellness programmes? The term is notoriously squishy because it tries to capture an intangible phenomena that has a very tangible impact on business. The result of this is everyone has a vague intuition that employee engagement is important, but is not quite sure what to do about it. Forbes has a helpful definition: employee engagement is "the emotional commitment the employee has to the organization and its goals." Personally, I prefer to just think about it as the way to describe someone who is motivated and productive at work. "And", not "or". This allows us to break down the phenomena into two component parts: the employee experience that generates motivation, and the ability to link that to a measurement of employee productivity. Without separately addressing each of these components, and then connecting them, it is too easy to get stuck measuring things for measurement's sake. Traditional employee engagement surveys suffer from many problems, chief among which is the inferred business relevance of the measurement. This is not really a problem with employee surveys as a methodology - even a company as adept at handling big data as Facebook still finds employee surveys the best way to measure employee engagement. Rather, it is the inability to link this measurement meaningfully to tangible measures of productivity. This is partly because of the way employee survey projects are handled in most companies, and also because it is tricky to isolate measures of productivity. The measurement of productivity might seem straightforward in sales, customer support, marketing, manufacturing and even in some blue collar roles. However, with many roles that are now knowledge-based and team-based, and the added complexity of matrix reporting, measuring productivity at the individual level is no longer as simple. 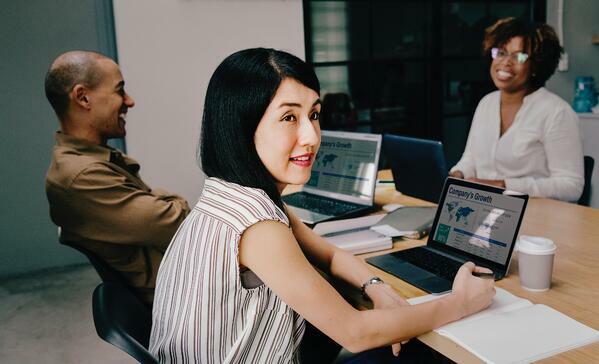 This Article will cover why the concept of employee engagement as it has been known in the past is evolving, and how it is becoming more contextual and relevant with the advance of technology and analytics. Another of the fatal challenges faced by many employee engagement programmes today is a lack of clarity about what they are solving for. Often, this creates a circularity in the logic behind the programmes. -CEO: "We need to build an employee engagement programme to make our employees more engaged". -CHRO: "Great, we'll run a survey this year to create a baseline, and every year for the next 3 years as we invest in training and coaching our line managers to engage their teams better". -CEO: Sounds good, how would we know we're successful? -CHRO: We'll see an improvement in the survey scores. -CEO: How do we ensure that line managers put in the effort to actually engage their teams? -CHRO: We'll make improvements to their scores part of their KPI, and tie it to their bonus pool -allocation. -CEO: "Wait...if I know I get paid more for giving better survey scores, and I get time off work to attend training programmes, wouldn't the company be paying twice for the same outcome? How do we know that the increase in employee engagement is actually worth the payout?" -CHRO: "We can report improved survey scores to the board...and the consultants assure us that the meta-analysis on their survey instrument is sound, with very robust benchmarks in our industry sector..."
If the programme is solving for survey scores at the outset, or a broad and generic idea of employee 'satisfaction', 'happiness' or any of the variants, the above scenario has a high chance of playing out for real. -CEO: "We need to build an employee engagement programme to make our employees more engaged." -CHRO: "What observations would tell us they are not engaged enough today? -CEO: I have a hunch, we've been losing a lot of good people to our competition over the past few quarters, and I know they're not paying any better than we are." -CHRO: "Our Hi-Po ("high potential" talent) attrition over the past couple of quarters *has* been trending up, and has hit 17%. We're executing a short diagnostic pulse this month, and can trend it into the next 2 quarters." We can diagnose the managerial competency gaps from this month's survey and invest in training managers-at-risk to close those gaps. -CEO: "Sounds good, how would we know we're successful?" -CHRO: "Ideally we should pull Hi-Po attrition back down to under 8% per quarter. Next quarter's pulse survey will give us an indication, as a 5-point lift in our employee NPS" (Net Promoter Score) has traditionally translated into a 3% fall in Hi-Po attrition the following quarter. With eNPS at -37 now, if we see it at -15 territory within the next quarter or two we'd know we're on the right track. If our eNPS stays below -30 though, we probably need to take stock again and apply more aggressive Hi-Po retention tactics. -CHRO: It'll be quite obvious, we have a watchlist of managers whose quarterly engagement scores and team participation rates have been trending downwards or stagnant, and correlating against their 360 feedback scores tells us they're just not putting in the effort. Thankfully, these are just 14% of our manager population, but they do seem to contribute more than 50% of our regrettable attrition. We would have a good case to reshuffle them into individual contributor roles over the next 1-2 quarters based on whether or not they can pick up their game. -CEO: Let's make it happen, and not be a training school for our competitors! The point of the exchange above isn't that eNPS is a gospel metric. Instead, the point is that it does not take a large shift in effort to get much more targeted HR policies and initiatives by being clear about what the programme is solving for. 1. While it's important to design the survey intelligently, it is only a means to an end, and is flexible to the situation at hand. 2. The engagement survey sits well with data from other sources, making it business-relevant. 3. A higher measurement frequency allows for greater responsiveness and calibration of intervention action. 4. Benchmarks are most actionable when taken from data within your own company, otherwise they risk being used as a vanity metric. Does this sound like a pipe dream? Even as recent as a decade ago, it probably was. But, to misquote Bob Dylan, "the times they are a'changin'". Deloitte recently found that People Data was the top human capital trend globally. The study also reports that 69% of enterprises larger than 10,000 employees now have a people analytics function. On LinkedIn, the number of professionals with "People Analytics" listed as a skill has increased by >60% over the past 12 months. It's no wonder: studies have shown that the return on investment on people analytics can be as high as $13.01 for every dollar spent. That's almost better than printing money. This shift and its impact on the human resource function promises to be as significant as the data revolution has been for the marketing function. The Harvard Business Review identified big data as the next "management revolution". With increases in the velocity of data transfer, the volume of data collected, and the variety of data types collected, marketers have been able to orchestrate highly personalised customer experiences. The application of such analytical techniques to HR, or "people analytics" as it is sometimes referred to, would allow companies to create extremely targeted and personalised employee experiences to increase engagement. 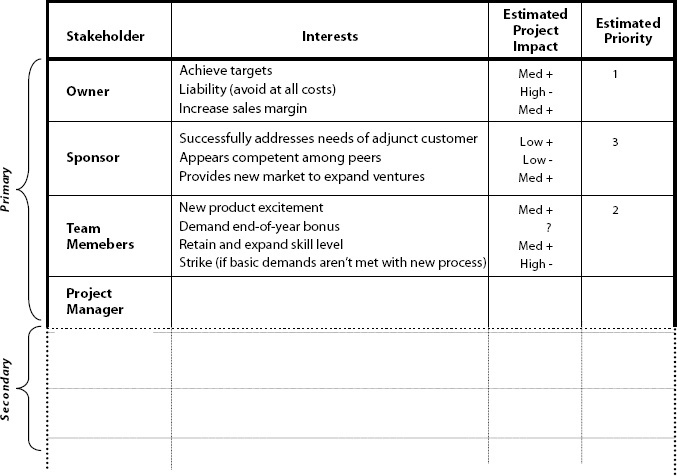 In Figure 1 above, while many companies have invested heavily in building data and predictive models around the left column, significantly fewer have invested in doing the same for the right column. This is a pity. With disciplined data collection and analytics, an evidence-based approach to building and calibrating your company's service-profit chain can be taken. The people levers to influencing each of the items on the left-hand column above can then be much clearer. The way technology tracks Operational Data (“O-Data”) for customers in our Customer Relationship Management (CRM) systems is very similar to how we track 'O' Data for employees in our HR Information Systems (HRIS). However, when it comes to Experience Data (“X-Data”), it would be helpful to also have a single source of truth at a high enough level of frequency to build from for employees. Currently, such data is captured infrequently and ad hoc, making any kind of attribution analysis tenuous at best. Technology now makes that concern a thing of the past. All these developments collectively point to a higher degree of resolution and relevance in the use of data around employee engagement in 2019. 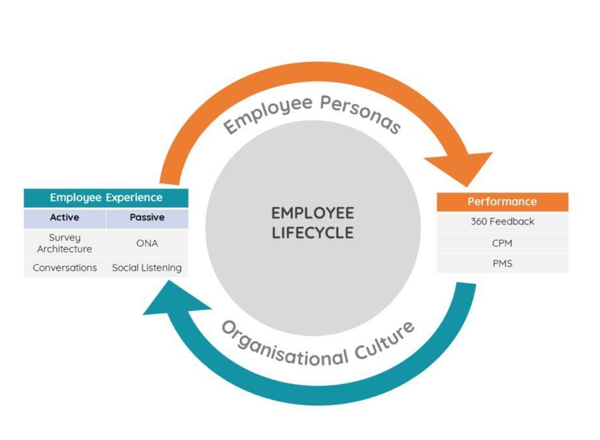 This comes both from the increased granularity of understanding both ‘active’ and ‘passive’ sources of monitoring the employee experience, as well as a more contextual and evidence-based means of assessing performance and supporting development. The result of this would give leaders the ability to highly personalise their management style in the best way to improve both employee motivation and performance. In other words, to improve employee engagement. 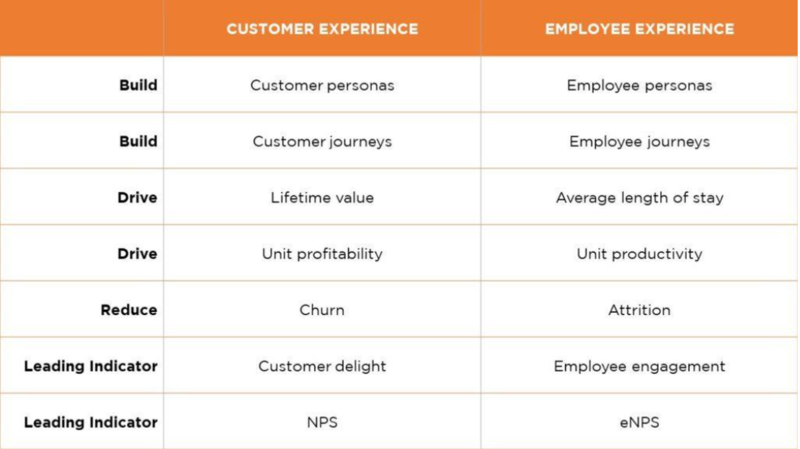 Every company has a different employee experience. Some are designed more deliberately than others, and some more effectively allow talent to be at their best than others. They important commonality is that there is no single best employee experience. There is only the best employee experience for your company. Each company's ideal talent profiles, "employee personas", are different. There are several useful worksheets you can use to create your own, your employee experience needs to be tailored to your company's employee personas. What is common across companies who want to do this right though, is the ability to listen well and often to these personas, and adapt the experience accordingly. This applies to talent just as much as it does to customers. There isn't actually anything wrong with having a single, large annual employee survey. There are some things which change slowly, and require deliberate enterprise-level investments in. Compensation and bonus structures are hard to change overnight for example. However, most of what the annual employee survey is trying to capture is too fleeting to be measured on an annual basis. Augmenting the annual survey with a structure of specific-purpose pulse surveys allows leaders to meaningfully track and get proactive about different dimensions of their team’s experience. 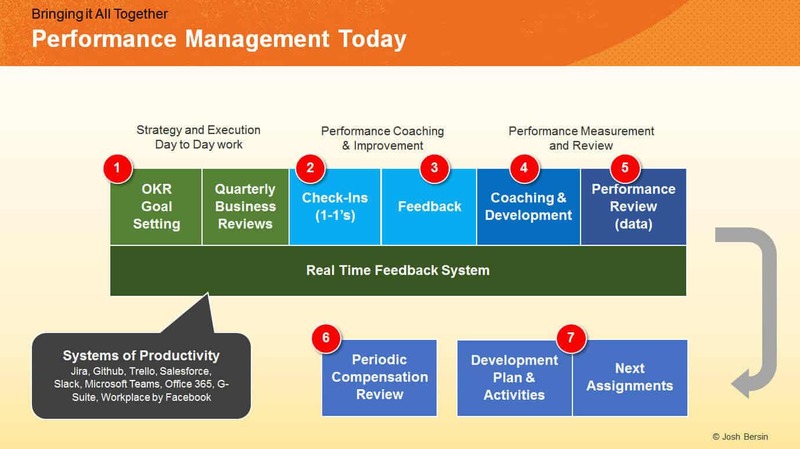 Having some version of this programme in your company to "understand the sentiment, provide actionable insight in real time, and enhance the work environment”, as described by Krish Krishnan, the head of Amazon’s Connections team, would go a long way to bridging the actionability gap in most survey programmes. With all the focus on digital transformation in many organisations, it’s often forgotten how powerful simple conversations between real people can be. A system of 1-on-1 conversations with your team, done deliberately and with a spirit of openness, can be one of the most effective off-line early warning systems of trouble. Also, if you pay attention, it has the added benefit of making you a better leader too. Of course for the less naturally congenial among us, or if we’re looking to execute meaningful conversations at scale, technology solutions abound for having regularly scheduled conversations with your team. Sophisticated survey systems also allow leaders to acknowledge and even respond to feedback while protecting the confidentiality of the team, allowing real issues to be addressed promptly. Websites like Glassdoor and social media sites like LinkedIn provide fertile outlets for employees to rant or rave about their company outside ‘formal’ channels. These are useful to monitor because they affect your company’s employer brand and can help make your employee value proposition (EVP) more tangible. But there are two challenges to doing this effectively at scale. One is the ethical issue of monitoring what your employees are sharing in what is arguably their personal capacity. Two is the technical difficulty of parsing through every update from every employee - most will not use a simple keyword like your company’s name, so you’ll effectively need to have a way to ‘read’ every single post and contextualise it. In our experience, what people post on social media is not any more or less likely to be true than what they share with their company through more formal channels, so the additional effort required may not always yield a positive ROI. The science of ONA is relatively new. Deloitte defines it as “visualising and analysing formal and informal relationships in your organisation”, and this is usually done through analysing the meta-data on email traffic. This could include “To” and “From” relationships, email length, send time, receive/open time, sentiment of the body content, and others. One of the huge benefits of ONA is that it is “passive”: meaning that everyone can just continue with business as usual without any interruptive effort (like taking a survey, for example). Some good insights can be gleaned from the data: who your most influential people are, which sales reps have the deepest internal networks for you, and even which employees are likely to burn out soon. However, there are some limitations to passive data: it can be tricky to establish the “why” behind the data, and it is possible to miss interaction patterns that occur beyond email - a phenomenon that is increasingly true among a mobile-first millennial generation. One of the most frustrating things about the modern workplace is the measurement of performance, and the resulting distribution of rewards that go with it. The average manager spends more than 200 hours a year on performance reviews. This all comes with the frustration of trying to recall what each team member did each year, how important each of those contributions were, and making subjective guesses on various elements such as demonstration of values or leadership competencies. Yet, according to the Society of Human Resource Management (SHRM), a startling 95% of employees are dissatisfied with their performance appraisal process, and 90% don’t believe the process gives accurate information. 65% say that the process actually interferes with their productivity. Yes, the very system set up to measure productivity is actually destroying it. 360 performance feedback describes the process where a participant receives feedback from usually 4 - 8 raters on how well they perform on a variety of different competencies, values and behaviours. These raters may be direct reports, peers, and bosses (especially in matrix organisations), and often include a self-rating and possibly external raters who interact often with the participant (customers, suppliers, etc). There is lots of debate around the pros and cons of running 360 degree feedback programmes, especially when it comes to the assessment of performance. If run poorly, it can cause distrust, measure the wrong skills, create undue focus on fixing weaknesses instead of leveraging strengths, and be a huge organisational time waster in itself. However, with proper execution and the right technology, leaders get a more holistic and accurate view of their team members' performance. In matrix organisations where someone's performance manager may not interact with that person as often as their team manager, this kind of quantitative performance feedback is crucial. This also allows for a more precise view of the developmental needs of the participant than the subjective comments from one source: the boss. If carefully developed, this can effectively provide a detailed view of the learning needs in an organisation. When it comes to having a quantifiable reason for promoting someone who is already displaying the skills necessary for the next role up, this is also far better than leaving it to organisational politics. Having a continuous process of measuring performance is a viable alternative to an annual performance appraisal cycle. This carries the immediate benefit of introducing an agile process to performance improvement, increasing the overall effectiveness of the organisation by course-correcting away from wasteful efforts early. This involves having a robust and flexible system of goal-setting / OKRs (Objectives and Key Results, a system popularised by technology leaders Intel and then Google). These would be augmented by regular check-ins, coaching-on-the-fly, and a data-driven review of performance, layered atop a real-time feedback system. These would ultimately also flow into a compensation system that rewards good performers while punishing poor ones. Of course, this is easier said than done in a complex organisation with multiple functions jostling for importance, within a business environment where disruption has become the norm. Still, at the very least having a system of record of steps taken towards a goal, successful mini-projects with milestones that were completed with good execution, as well as a "system of engagement" that allows interactivity and analyses interaction patterns, would be a tremendous step forward over what is practiced in many companies today. At the end of the day, Josh Bersin expresses it perfectly: "Performance Management is Management". Technology and artificial intelligence is improving fast enough that their capabilities are growing every day, but ultimately this can only support, not supplant, a strong management ethos focused on regular performance improvement. To illustrate how this might work, we build a stylised case study drawn from experiences across the many companies we have worked with. Any resemblance to any real company is purely coincidental. Company: Widgets & Co. is a company headquartered in Singapore, and produces machinery and equipment for sale across Asia Pacific. It currently employs 7,500 people from 8 different countries, spanning blue collar factory labourers to data scientists and engineers. The founding members of the company were from a single family, and took it public 6 years ago, fuelling its rapid expansion regionally. The leadership mantle is currently being passed from the father to daughter. A mix of "professional management" and family loyalists comprise the senior leadership team. Situation: Widgets & Co. under the father prized values of respect for leadership, loyalty and fealty, and placed a premium on 'getting things done'. The company was run like a large extended family: once employed, as long as you stayed loyal to your boss and managed to perform your assigned tasks, you were guaranteed a job for life. Even if you became incapacitated or had a change in family circumstances that reduced your ability to commit at work, there would be a place for you somewhere in the company. Those who were promoted were great at getting things done without asking too many questions. Speed and efficiency were surefire ways to grow your career at Widgets & Co. Complication: Over the past decade, competition has been heating up from China, Korea and Japan. With the benefits of scale and advanced technologies, competitors from those countries have been capturing market share from Widgets & Co. not only in North Asia, but even within the Southeast Asian markets. Widgets had always considered Thailand and Indonesia its strongholds, but was seeing increasing penetration from competitors there as well as declining margins. The new CEO received her MBA from an Ivy League College and had been exposed to modern management principles. She had invested tens of millions acquiring smaller competitors and upstream suppliers in the hopes of reaping greater efficiencies and broader market reach, but these acquisitions had yet to show returns. Topline revenues have stagnated or declined over the past 5 consecutive quarters, while the share price has dropped by 27% over the same period. Hypotheses: The CEO had the following hypotheses. 1. The lack of an innovative culture was causing Widgets to miss out on the latest technological developments in both production and go-to-market functions. 2. Several of her acquisitions were not taking off because the best leaders from the acquired companies were forced out or easily tempted away by local competitors. A 1 year target was set to increase market share by 15% against fierce competition. To achieve this, the CEO wanted to change the tendency to value stability to a culture that encouraged risk-taking. - She pulled out her High Potentials from their roles and formed them into "SWAT Teams", each team given 3 months to create solutions to strategic problems. Within the team, they kept themselves aligned and in-check across geographies and time zones with short weekly pulse surveys to quickly identify bottlenecks and issues with team dynamics to fix them ahead of time. These were aligned with their weekly SCRUM tempo. - Across the board, a quarterly pulse survey was run on employee engagement, also covering quick retrospectives of each quarter's initiatives and a forward scan on the next quarter's initiatives. The results and follow up actions were discussed in the quarterly Steering Committee meetings together with market share metrics, production efficiency ratios, and others. - To assist line managers in improving performance quickly, and giving credit for innovative ideas and behaviour, a continuous performance management system was set up. This allowed poor performance to be addressed immediately, instead of being allowed to languish for a calendar year. Those who achieved the highest credit for innovation were given the chance to present their ideas quarterly, and were rewarded with company-sponsored vacations. - To assess who her best people were in the newly acquired entities that still remained, she ran a quick 360 performance feedback across all of the leaders analysing the skills most needed in the transition. Cross-referencing the scores with qualitative feedback and their past business performance, she quickly promoted the top 15% of them and gave them the responsibility of integrating their systems into the broader Widgets & Co. ecosystem. - Within 2 quarters, Hi-Po teams had enough data to predict if a project was going to succeed or not in the first month of a SWAT team's life, and why. This allowed rapid team reassignments and doubling down on the projects most likely to create strategic wins for the company. - Identifying pockets of the company that were change-resistant allowed targeted CEO attention instead of an endless series of town-halls 'preaching to the choir'. Dynamic feedback on company initiatives also created tighter learning loops that reduced costly wasted efforts. - Line managers were able to take close control over performance. Weak performers and those who weren't aligned with the new direction were respectfully managed out. Star performers were rewarded well, and on time. - Her new generals in the acquired entities succeeded in pulling cost efficiencies and new technologies into Widgets' existing processes successfully, creating a clear path to positive ROI on the acquisitions. - By the end of the 4th quarter, Widgets & Co. reported in an analyst call an 18% market share growth over the start of the year, and projected stronger earnings into the new year. The point of the case study is not to suggest that the use of any of the solutions is a panacea, but to highlight the way in which technology and data may be used in a *contextual* way to address a business relevant problem. This is a point that needs to be emphasised. To get started, pick a problem that needs solving first. Not going out to hire a bunch of PhDs. Not creating ambitious plans for "digital transformation". Technology and data are just enablers and tools to support a solution. Step 1: Starting with why? The starting point to changing the way your company engages employees is to first ask yourself: what are you engaging them for? Step 2: How would you know you're successful? The next step is to identify success criteria. This could be done using simple SMART goals: Specific, Measurable, Achievable, Relevant, and Time-bound. Another tool that can be used are Objectives and Key Results (OKRs). The trick here is to ensure that the end goals are not survey results, but something that matters to the business. Something tangible and observable that will indicate success. Survey results can be included in the list of targets, but should always be secondary to the primary objective. Pro tip: if you can start with a hypothesised relationship between actions, survey results, and the primary objective, you're well on the way towards a successful programme. Eg: We need to reduce attrition of our identified talent pool by 15%. Hypothesis - putting them on a mentoring programme with senior management would help increase segment employee engagement scores by 30%, and achieve 12% attrition reduction with no additional financial investment. This stage would include thinking about what you'd need to collect, who you're collecting from, how you're collecting it, and how often you'll need to collect and review it. These considerations would be driven by the analytical needs from Step 2. For example, if reducing talent pool attrition by 15% is the goal, a simple collection plan may look like this. At this step, it would be appropriate to start hunting for analytical talent or getting new technology to help manage the data, once you're clear about what you're solving for and how to get there. If you've made it this far, following all the relevant steps, it is much easier for you to craft a strategic narrative and involve the necessary stakeholders. From the previous steps, the relevant stakeholders would be obvious. In the case of reducing talent pool attrition, this would be the talent pool themselves, their managers, as well as the senior leadership team. Possibly included in this list might be the HR business partners, depending on your organisation structure. The Project Management Institute provides a good framework for conducting stakeholder analysis to deliver your strategic narrative effectively. Notice how there are no technological shortcuts here: you need to relate to your stakeholders on a human level. In particular, classifying your stakeholders by Interest and Impact would help in prioritising communication efforts and identify the angles to take. Finally, you get to execute on the plan! However, it isn't enough to just dive straight in to doing - to ensure that the initiative is continuously improving, there are a few ways to go about it. 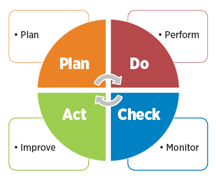 The American Society for Quality (ASQ) has published the Plan-Do-Check-Act (PDCA) cycle which is a tool for carrying out change. This has its roots in the quality movement pioneered by Edward Deming. Another model that can be applied with similar fundamentals is agile: using either the SCRUM or Kanban methodologies. This is typically applied to software development, but has been effectively used even in industries like heavy equipment manufacturing. > "No plan survives first contact with the enemy." Having a plan that is flexible and adaptable to how the business situation changes is key, as well as the ability to respond to the information unfolding along the way. Employee engagement is becoming more contextual. Employee experience, sentiment, motivation, satisfaction, loyalty, are all important, but only in the context of employee and organisational performance. The extent to which HR leaders are able to make this contextual connection determines how successful or not any employee engagement initiative will be. Technology and data tools today enable this connection to be made more than ever before, but the first step is still a human one. We need to adopt the mindset that connects the human element of work to the output of work, especially so in the intangible knowledge economy. That is one aspect of business and work that machines won't ever replace. And it's why there'll always be a need for employee engagement.